Also see the commercial 'C' series, 24" wide cabinets that are a bit less expensive than the Signature Series. 15" Signature Series...for the amateur wine connoisseur, the 15-inch Signature Series Wine Reserve will give you the perfect amount of storage space for a smaller collection of wine. Store up to 20 bottles of wine with five full sliding shelves. "C" Commercial Series...but works well in residential environment at less expensive cost than the Signature Series! Available with up to three taps. Standard units have 1 tap. If you’re looking for something unique, Perlick Wine Cabinets are the only cabinets that offer built-in, multi-zone and under-counter wine cabinets in a number of configurations. Designed with commercial-grade stainless steel interiors, Rosehill carries Perlick’s 15”, 24” & 48” wide wine cabinets. 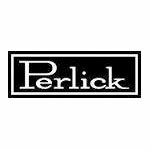 No matter your needs, Perlick offers refrigeration solutions such as wine storage, fridges, freezers and beer kegs. Rosehill even carries a line of Signature Series wine cabinets that are approved for outdoor use! Trying to match your existing wine cabinetry? Rosehill also offers the option of an integrated door, ready to accept wood overlay! The great thing about Perlick wine cabinets is that their compact design allows them to be easily fit in to a tight or crowded space. While the bottle count on any of these models reaches no more than 90, they are the perfect size for a weekend of entertaining or long term wine storage.